• An induction heating coil, designed and developed specifically for this application. 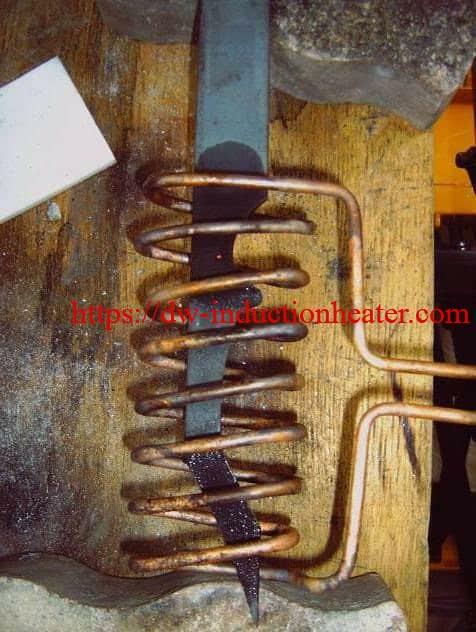 Pieces are placed in their specific coil for heating. 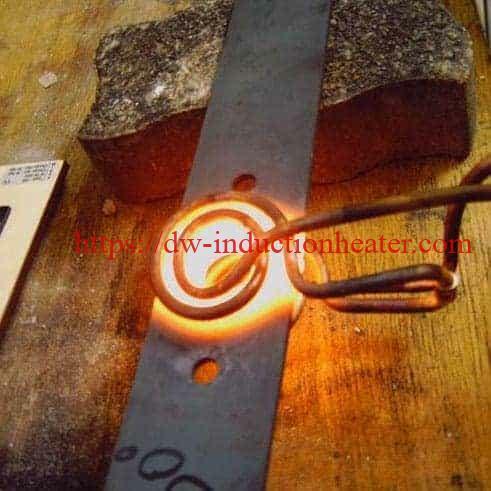 For the blades, the center hole must be heated to 1562 ºF (850 ºC) and for the knife 2/3 of the blade must be heated. 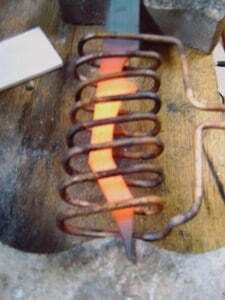 Depending on the piece, the steel reaches 1562 ºF (850 ºC) in 13-19 seconds. 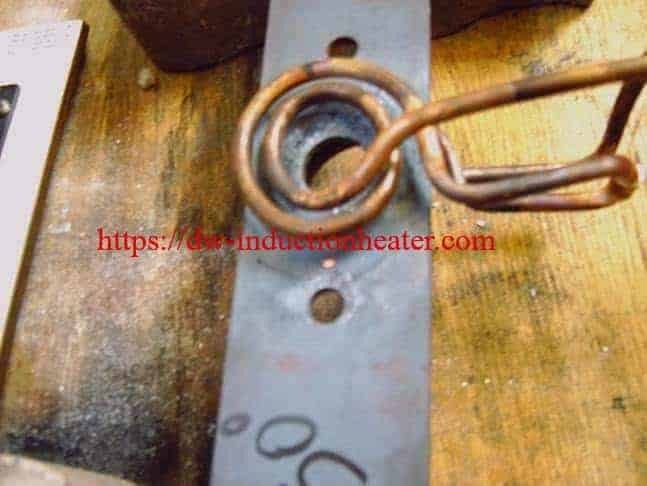 After the metal is preheated it is press stamped.